Last time we had a Halloween Contest. 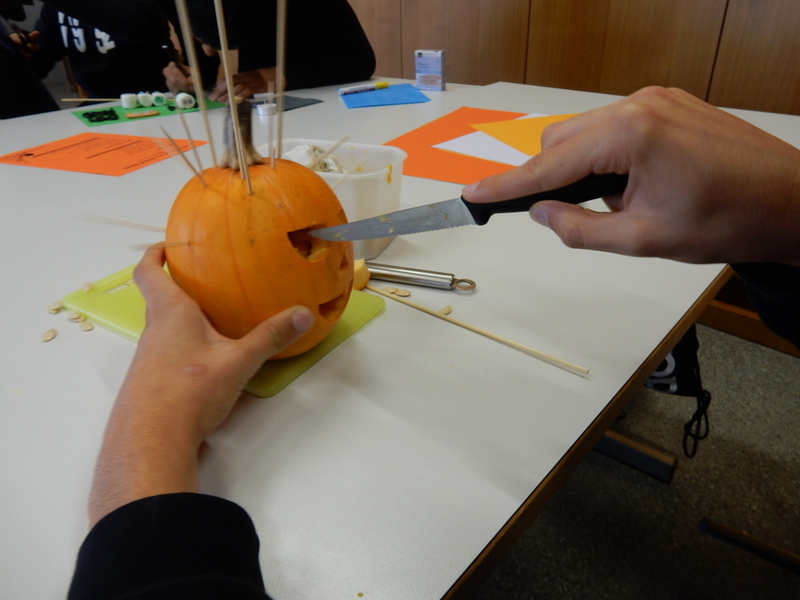 We cut a pumpkin and transformed some marshmallows into spiders or ghosts. 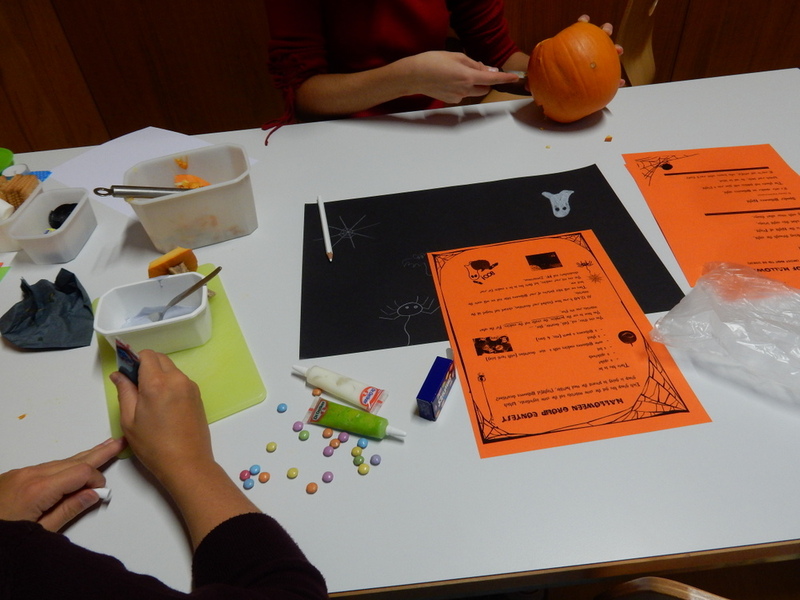 We cut a black paper to make a bat and wrote on a cookie «Happy Halloween» and we also wrote a poem. We decorated a pumpkin and carved it, too. 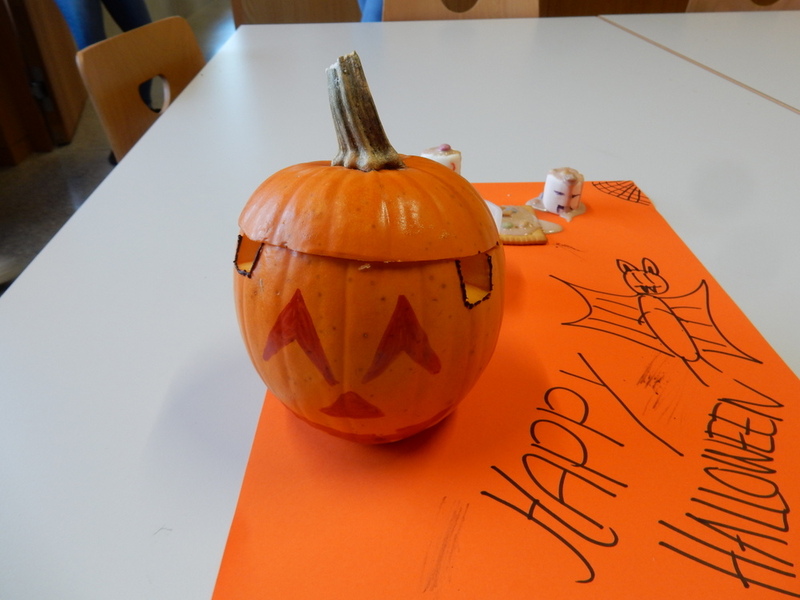 We disguised the marshmallows as vampires and lighted candle in the pumpkin. 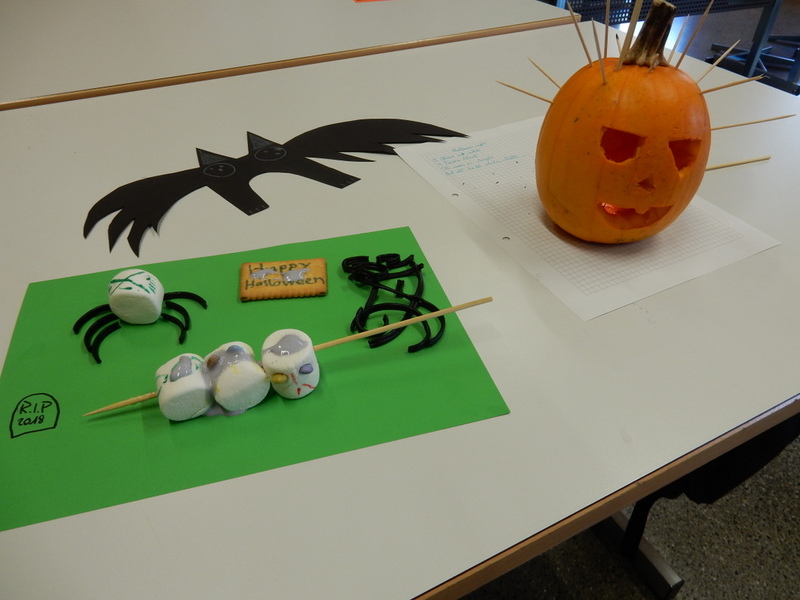 We also had to create a spider, a bat and a Halloween poem. With sweets we did a Halloween decoration. We had a pumpkin, some cookies, marshmallows, food colouring, smarties and sheets of paper. 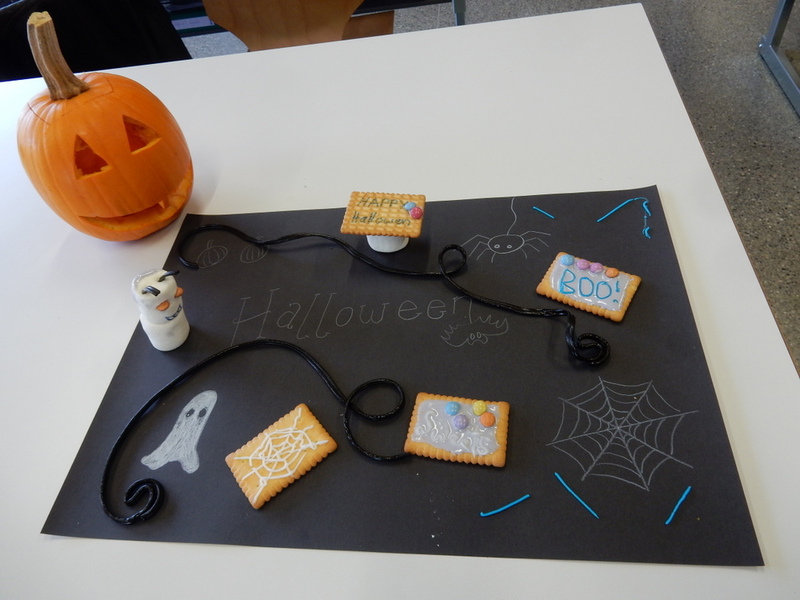 Our time limit was 45 minutes and we had to create or draw a spider, a ghost, a spiderweb, a bat, decorate the cookies and carve a pumpkin. It was very stressful because we didn’t have much time. In the last minute we also had to write a poem. But it was very funny. Happy Halloween! And you wish you are not there. And ask for a lot more. And dance with the mouse. people put in their case some sweets. and put on Instagram a post. The ghosts and witches will give you a fright. Watch your back, be careful with all the things.